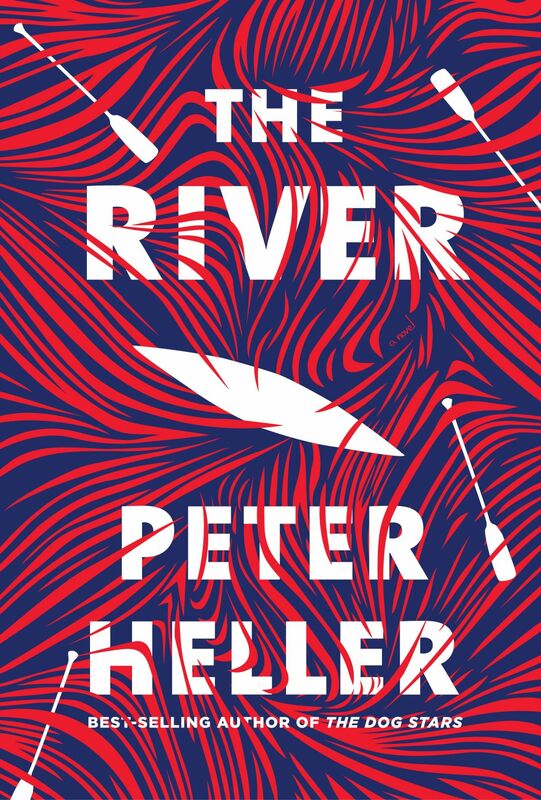 Peter Heller’s latest novel, “The River,” was released March 5. Everything hinges on that first sentence for novelist Peter Heller. Then Heller unfurls his story, focused more on the poetic language for which he’s praised than on the plot’s ins and outs, which come to him from the ether. That’s how he wrote his much-acclaimed 2012 post-apocalyptic novel, “The Dog Stars,” and that’s how he’s written his most recent outdoors thriller, “The River.” The New York Times called it a “modern day survival tale” and named it one of a dozen new books to watch for in March. “They had been smelling smoke for two days,” reads the first line of his prologue. “They” are Jack and Wynn, best buddies in college who decide to canoe the Maskwa River in Northern Canada, a trip based on Heller and his wife’s fourth date running the Winisk River in northern Ontario. What the men envision as a low-key adventure and escape from modern distractions turns into a fight for their lives as they wade into a domestic disturbance and a forest fire rages before them. “(A) poetic and unnerving wilderness thriller. … Full of rushing life and profound consequences. Every move Jack and Wynn make along the river has the chance to kill them or those they’re trying to save, and the result is a novel that sweeps you away, each page filled with wonder and awe for a natural world we can quantify with science but can rarely predict with emotion,” critic Tod Goldberg wrote in USA Today. As Heller fleshed out his main characters, they became more familiar to him. Then he realized he was Jack, and Wynn was his longtime friend, the artist Jay Mead, whom Heller met at freshman orientation in college, where they talked books, the environment and expeditions into the wild. His fictional characters aren’t identical to their real-life counterparts. Heller isn’t a ranch kid, nor is he as tough as Jack. But there are glaring similarities, such as Wynn’s habit of creating ephemeral art out of sticks and feathers he collects as they camp beside the river. Or Jack’s keen spidey senses, which play a vital role in the novel. Heller was 17 and at a party in New Hampshire when he noticed a despondent-looking man whom everyone treated cautiously. Heller struck up a conversation with the geochemist, who made his living on the river, only to learn that his wife had died two months earlier on their canoe trip down a remote river. One morning she went over a berm to go to the bathroom and never came back, the man told him. The story marinated in his subconscious for four decades before Heller was writing it into his new book. That’s an aspect of fiction writing he likes best: Life experiences accidentally on purpose get woven into his work. Fiction was always his first love, but nonfiction paid the bills. He still accepts travel writing assignments, mostly from Travel + Leisure magazine, but his heart’s in the novels.